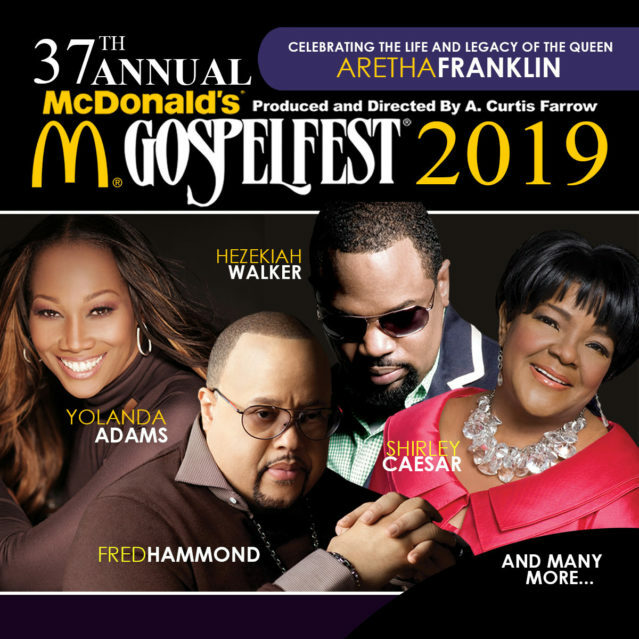 FMcDonald’s Gospelfest 2019 is back at the Prudential Center Starring Yolanda Adams, Bishop Hezekiah Walker, Shirley Caesar & Fred Hammond! 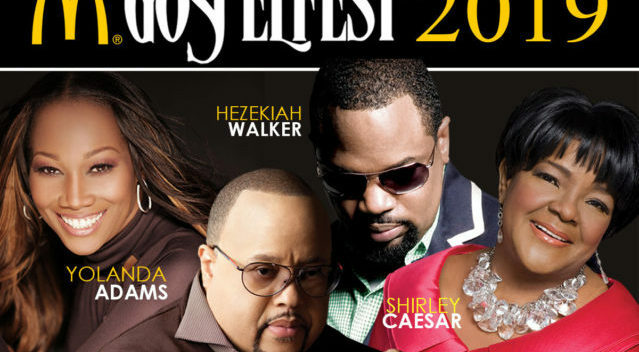 [Newark, NJ] –The 37th Annual McDonald’s Gospelfest returns to the Prudential Center Arena (25 Lafayette Street, Newark, NJ) on Saturday, May 11th for the gospel event of the year. This year’s event will celebrate the Queen of Soul Aretha Franklin’s life and legacy with an All-Star Gospel cast to pay tribute to her, including Yolanda Adams, Hezekiah Walker, Shirley Caesar and Fred Hammond! This will be a special night that no one will want to miss. Aretha Franklin was a McDonald’s Gospelfest Alumni who starred in McDonald’s Gospelfest in 2005 for three sold out nights at Madison Square Garden and in 2013 the Queen returned to her gospel roots once again, this time at the Prudential Center in Newark, NJ where she amazed another sold out crowd. As a tribute to all she meant to us, Ms. Franklin’s family will be on hand to receive a commemorative plaque from the Mayor of Newark and other dignitaries and surprise guests will be on hand as well. Yolanda Adams – Since her 1988 debut album, “Just As I Am.” Yolanda Adams has garnered five Grammys, performed for several U. S. presidents, released twelve albums and still wows audiences all over the world. She is renowned for pioneering the blend of modern gospel infused with soul and jazz and continues to empower fans through her inspirational and contemporary music. Her albums have earned her music’s highest honors such as the Grammys, Stellars, BMI, Soul Train Awards, NAACP Image, BET, and more. 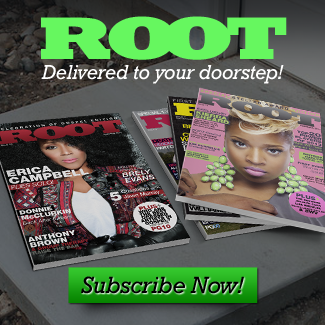 In addition to being a gospel superstar, she has reigned on radio airwaves for more than ten years as the host of her own show, “The Yolanda Adams Morning Show,” which has been heard in over sixty markets nationally. Bishop Hezekiah Walker – Grammy® award winning gospel singer, composer, and choir leader, Hezekiah Walker, known as “the hip-hop pastor”, has brought many young people to gospel and choir music and has shown that he has no problem using modern vernacular and recording techniques to expand his fan and worship base. Pastor Walker’s following is worldwide. Since 1985 he has release over 15 albums garnering a whopping 13 Grammy® Nominations and 2 wins. For more than a decade, Pastor Hezekiah has anchored Afternoon Drive on New York’s WLIB 1190, bringing star power, conversation, and inspiration to millions of loyal listeners. Shirley Caesar – Is an American treasure whose career has spanned six decades, this Gospel music singer, songwriter and recording artist has released over 24 albums throughout her storied career. Ms. Caesar has won multiple Grammy, Dove and Stellar awards. At 80 years of age, Shirley Caesar continues to perform with her famous energetic and boisterous style. She believes that with all the suffering and hardships in the world people will listen to her recordings and see her perform and be encouraged. Fred Hammond – For more than 35 years, music lovers around the world have known Grammy® Award Winning artist Fred Hammond as a gifted vocalist, songwriter, musician, producer and arranger. But as his peers and supporters alike have so reverently declared, he is without debate the architect behind the creation of a phenomenon in Gospel music, Urban Praise & Worship—a genre of gospel music that did not exist prior. As a result, Fred Hammond has become one of the most respected names in the music industry. As a solo artist, founder of the pioneering urban group, Commissioned, and his work with Radical for Christ combined, he has sold over 8 million albums. 2019 marks the 20th year Mr. Farrow has joined with McDonald’s to bring this phenomenal celebration to life. He has received two Emmy awards for producing McDonald’s Gospelfest 2000 and 2001 and eleven nominations in 2003, 2005, 2006, 2007, 2008, 2011 through 2014, 2016 and 2017. In February of 2014, Mr. Farrow fulfilled a longtime dream by organizing and leading 1171 voices to break the Guinness World Record for World’s Largest Gospel Choir. He has since produced a 2000 voice choir at Madison Square Garden and a 5000voice choir for at the Nassau Coliseum. he was responsible for the organization, planning and execution of the home going services for the Late Whitney Houston and most recently he produced the homegoing services for the Late Aretha Franklin which was seen around the world. Mr. Farrow credits everything in his life to his strong belief in God. McDonald’s USA, LLC, serves a variety of menu options made with quality ingredients to approximately 25 million customers every day. Nearly 90 percent of McDonald’s 14,000 U.S. restaurants are independently owned and operated by businessmen and women. Customers can now log online for free at approximately 11,500 participating Wi-Fi enabled McDonald’s U.S. restaurants. For more information, visit www.mcdonalds.com, or follow us on Twitter and Facebook.